Interested in a career working for Coca-Cola? The Coca-Cola Company is a multinational beverage corporation with operations in over 200 countries. 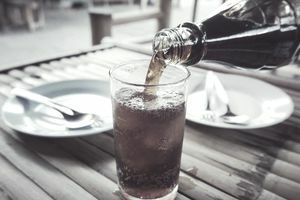 The company manufactures, retails, and markets nonalcoholic beverages including Coca-Cola, Diet Coke, Coca-Cola Zero, Fanta, Sprite, Dasani, Vitaminwater, Powerade, Minute Maid, Simply, Smartwater, Fuze, Hi-C, Odwalla, and Gold Peak. With almost 62,000 employees and 4,000 products, Coca-Cola ranks among the top private employers. Coca-Cola was ranked number 33 on the Forbes list of the World’s Best Employers for 2018 and number 18 on CNNMoney’s list of the World’s Top Employers for New Grads. There are many different types of career options available at worldwide Coca-Cola offices and facilities. Review information on how to find and apply for open positions at Coca-Cola, types of career opportunities at the company, the benefits provided by Coca-Cola, and advice on getting hired by the company. Coca-Cola’s careers page has employment information including career openings, testimonials from employees, and information on how to apply for jobs. The Coca-Cola Company hires for permanent positions, internships, co-ops, and summer jobs. Coca-Cola offers careers in a variety of areas. These include supply, manufacturing, marketing, sales, finance, communication, human resources, information technology, and more. When job searching, you can look for Coca-Cola jobs within any of these functional areas. Coca-Cola offers career opportunities in North America, Eurasia, Africa, Europe, Latin America, and the Pacific. After selecting which region you would like to work in, you can search for a specific job in that region. Search by job type (full-time, part-time, internship), location, job function, and keyword. In addition to job listings, Coca-Cola also provides helpful search tips for job seekers, including information on the types of keywords to include, and how to use the advanced search option. Review the tips so you can connect directly with the opportunities that are a match for your interests and credentials. Once you identify a job that fits your interests, you can apply for the job by uploading your resume or CV online. You can register in The Coca-Cola Company’s job-posting system, although it is not required. This system will allow you to save past job searches, save your personal information and resume, and the system will email you alerts when there are new positions that fit your search criteria. Click 'sign in' if you have an existing account or 'create account' to register a new account. Coca-Cola also offers a number of tips for applying for jobs, writing resumes and performing successfully in interviews. Coca-Cola provides reasonable accommodations to assist with job searching and applications for employment. If you need assistance, send an email to disability-accommodations@coca-cola.com with a description the specific accommodation you are requesting and a description of the position for which you are applying. Coca-Cola offers a robust employee benefits program, which includes pay and benefits as well as opportunities for professional development. The program includes annual and long-term incentives, educational benefits, discounts and conveniences, as well as traditional benefits including health and life insurance. U.S. employee benefits include health, dental and life insurance, 401(k), a Tuition Aid Program, flex and summer hours, paid holiday, sick and vacation time, and a variety of additional employment benefits. Coca-Cola offers a variety of information to help job seekers. Along with information on how to apply, the company offers articles on topics such as using social media to search for jobs and advance your career, and how to move up in your career. Coca-Cola also produces a number of online stories about job searching and provides further information on the Coca-Cola Company. Before you apply, take time to review as much information as possible so you’re fully informed about the company and the opportunities it offers. In addition to reviewing the company website, take time to read Indeed.com reviews, and Glassdoor employee reviews and salary information. Payscale.com also provides salary information for Coca-Cola jobs.